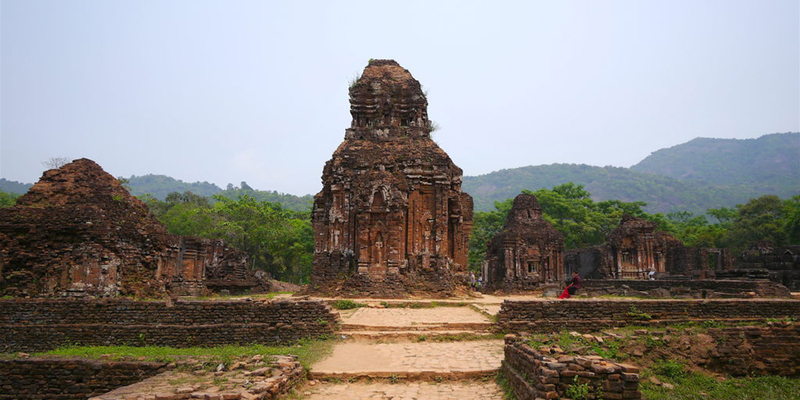 Culturally and historically rich, Central Vietnam is home to four UNESCO World Heritage Sites. Hue was an important centre of political influence during the Champa Empire, and is now known as the cultural capital of Vietnam. 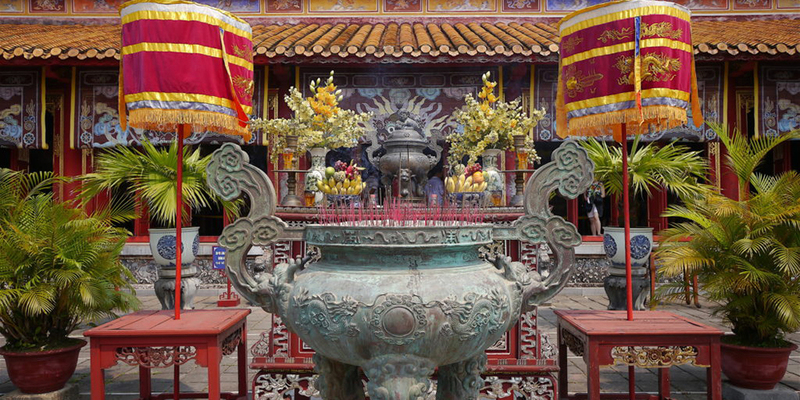 Till the 18th century, Hoi An was the most important trading center until its relevance declined. My Son on the other hand was the burial and religious centre of the region hundreds of years ago. 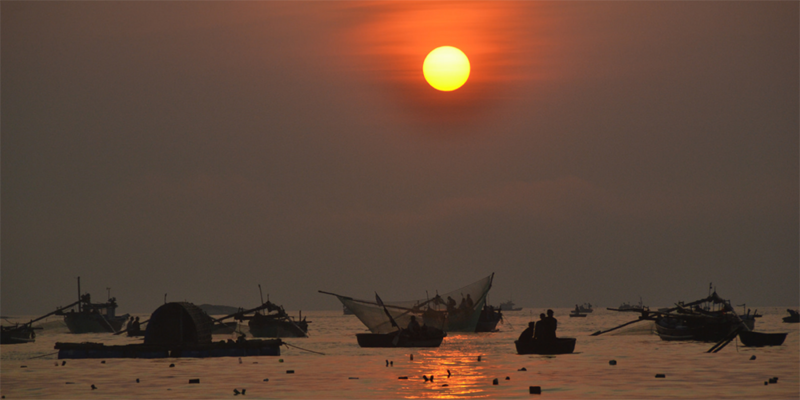 Today, Da Nang is the largest and most visited city in Central Vietnam with luxury resorts and vast beaches. Our visit to Central Vietnam will include both the past and the present, with ruins of ancient temples to glitzy malls and resorts. Almost all of Vietnam’s past is reflected in the area between Hue in the north, My Son in the south and Hoi An in the East. 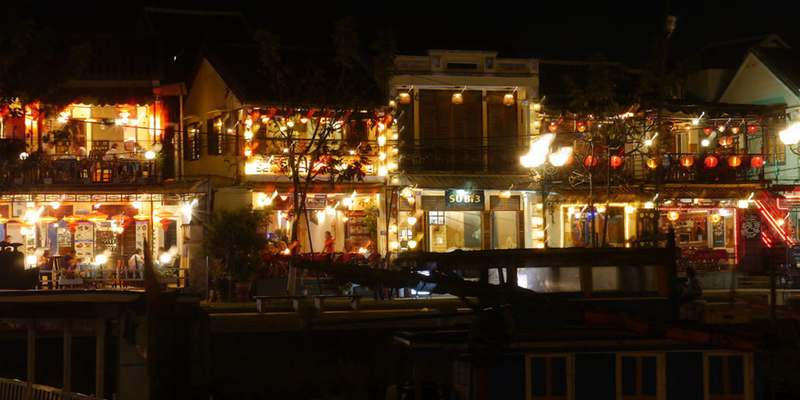 Hoi An is best explored in the evening when the area is beautifully lit by lanterns. Candles are released on the river and the feeling of romance and magic is undeniable. Arrive just in time for a late lunch in Hoi An, avoiding the afternoon sun at its harshest. Head to My Son in the morning and give yourself a good 1-2 hours to fully appreciate the abandoned Hindu temples. If you are staying in Hoi An, avoiding the flood of tourists by visiting early. Have lunch at Seedlings in Hoi An, a socially committed restaurant managed by Banyan Tree Lang Co. 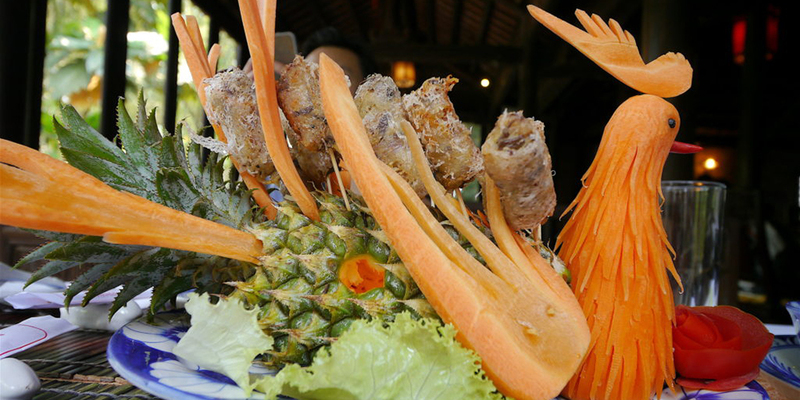 The restaurant equips the youth in Hoi An with skills in cooking and hospitality. Seedlings is easily spotted from the old town, right in front of the main river. Have dinner at the constantly crowded Morning Glory, owned and run by Miss Vy’s cooking institution. Miss Vy runs a well known cooking school and even has her own YouTube channel. Be sure to avoid the queues by booking in advance! Both the food and service is excellent. If you are interested, arrive in Hoi An a little earlier to learn about the Old Houses. The Hoi An ticket gives you entry to a few buildings as well as to the famous Japanese Bridge. 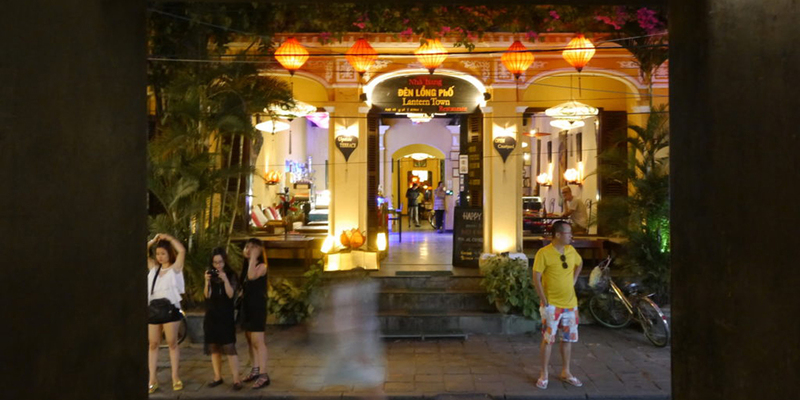 Enjoy a late night in Hoi An, the town is both beautiful and bustling at night. Sri Lanka includes plenty of UNESCO sites as well, here’s how to cover all of them in just 4 days! Exploring the Imperial City’s citadel can take up to 3 hours with a guide. The Citadel was previously out of bounds to anyone other than the Royal Family and its concubines. It has since been refurbished by the Communist Government after it was partly destroyed during the Vietnam War. The beautiful Chinese styled buildings and pagodas stand beautifully, emoting peace despite its rough past. After the citadel, make your way to the symbol of the city: the seven storey high Thiên Mụ Pagoda. Built in 1601, the Thiên Mụ Pagoda was and still is a Buddhist centre. A cast iron bell weighing 3285kg is said to produce sounds that can be heard 10km away. Don’t forget to rub the marble turtle’s head for longevity! Have lunch at Y Thao Garden restaurant, an excellent example of Hue’s garden houses. The restaurant doubles as a cooking school and is filled with antiques and vintage furniture. A royal vietnamese lunch is served in beautiful wooden buildings that make you feel like ancient royalty. Our carrots were carved into an intricate peacock! We enjoyed the food looking over a pretty garden with a small pond. Spend the afternoon exploring the Tu Cung Residence. After the Communists took over, the mother of the last king had lived there till her death. The Tu Cung Residence offers insight into the last days of the Nguyen Dynasty with photographs, furniture and personal effects. Make your way up a hill to Khai Dinh’s Tomb, just outside of Hue. This tomb holds the last emperor of Vietnam. Crowned in 1913, he began building a tomb for himself in 1920. The tomb was one of the most expensive in the Nguyen Dynasty and prompted a significant increase in taxes to finance its construction – making the emperor extremely unpopular. The tomb was completed in 1931 by his successor, Bao Dai. 12 stone statues represent bodyguards at the entrance, along with dragon sculptures and French inspired decorations found around the area. 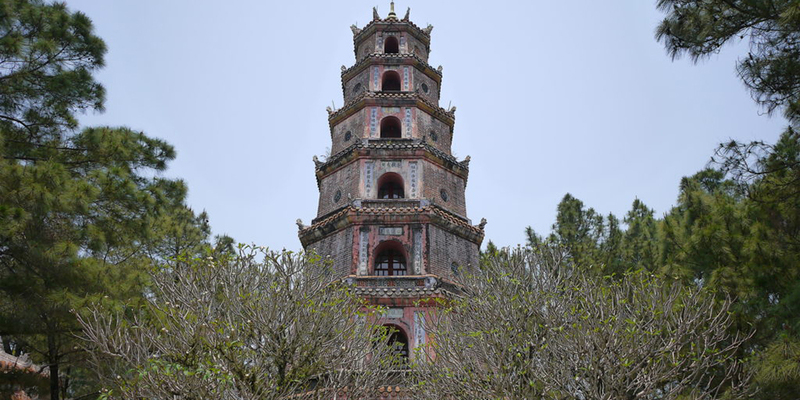 Tu Duc’s tomb is an impressive structure that stands outside of town. In 1867, the forced labour and great cost of construction almost caused a coup. The Emperor used to hunt around the area, as well as spend time with his large number of wives and concubines- over a hundred! Strangely, his remains were not buried here. For another strange and unique sight head to Ho Thuy Tien abandoned waterpark. End your day with a drink at the La Residence Hotel, relaxing in the atmosphere of a colonial period gone by. After your substantial share of history, take it slow on the third day. After dipping in your hotel’s pool and perhaps enjoying a massage, head to the Marble Mountains. These mountains are relatively close to Da Nang and consists of four outcrops with temples and caves. Buy a map at the entrance and explore on your own, I left the crowds behind and wandered into the smaller caves. If you are not fond of stairs, rappel down with Path Tire instead! Entrance is free after 5pm, but remember to bring a torch as there is no lighting after sunset. If you were looking for an activity in the morning, give a food tour or class with Da Nang Foodie a try! Hotels like Banyan tree Lang Co also offer cooking lessons within the resort, but the authenticity of a real kitchen may be missed. There are plenty of beach getaways across Southeast Asia including the beautiful Koh Samui! Start your last day early with a trip to the Hai Van Pass via bike, scooter or car. The scenic views from the beach to the mountains are re refreshing and beautiful, the picture perfect moment to end your trip with. There are plenty of great places to stay around Central Vietnam, with most people preferring to base themselves in Da Nang. Here are just a few options of where to stay in and around charming Hoi An. The Pho Hoi Riverside Resort in Hoi An is a great affordable option, with rates starting at just SGD$38 per night. It is located along the Hoi An River and near the tourist village of Cam Nam, making for a romantic getaway. The 3-star accommodation also includes free Wi-Fi in all rooms and a spa service. Book here. Slightly pricier is the Anantara Hoi An, with an exclusive location right in the old town and next to the river. It has a relaxing, laid-back atmosphere coupled with oriental furniture and bicycles for guests explore the town. Visit their heritage-inspired wine bar, take part in cooking classes or just laze by the pool, with rates creeping above SGD$200 at SGD$206 per night. Book here. The clear choice here is the Banyan Tree Lang Co., located in plain site in the mountain ranges between the two UNESCO world heritage sites of Hue and Hoi An. This is the beach and golf destination in Central Vietnam, and all of the pool villas come with a great outdoor space and amazing views. If you have SGD$718 to spare, book here. The best way to get to Central Vietnam is to take a flight to Da Nang. Silk Air offers the most comprehensive and frequent service, flying to Da Nang at 1:50pm on Tues to Thurs, flying an hour later on Mondays and flying out in the morning at 7:55am on Fridays and Saturdays. Check the flight schedules here. The only other direct flight to Da Nang is offered by Jetstar, flying out in the evenings on Tuesdays, Fridays and Sundays. Flights to Da Nang take approximately 3 hours. You can then take a 30 minute drive to Hoi An. Alternatively, you can fly directly to Hue on a VietJet Air or Vietnam Airlines flight. It takes approximately 5 hours but both airlines operate this route daily with early afternoon or evening flights. As this itinerary covers a great distance, a car is needed. The sun in the early afternoon can be ruthless and it is best to rest during this period and visit sites earlier or later in the evening. 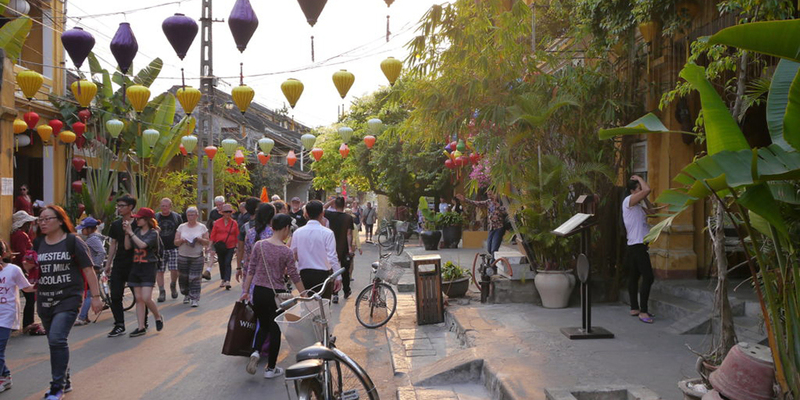 Visiting earlier allows you to beat the hoard of tourists while visiting later also allows to you to see cities like Hoi An in a warm, comfortable evening glow. 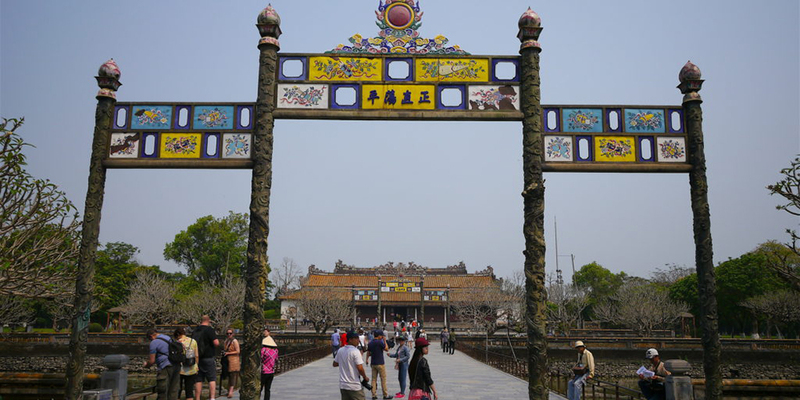 When visiting the ancient temples in My Son or the imperial city of Hue, it is best to have a guide who will truly educate you on the history and other interesting tidbits of the site. It is the best way to make the most of your visit! When visiting the ancient temples in My Son, remember to dress modestly and appropriately. © 2016 Copyright Singapore & Beyond. All Rights reserved.